Here are a few samples of our well-crafted web design work. For more samples, please contact us directly at sales@texaswebmaster.com. 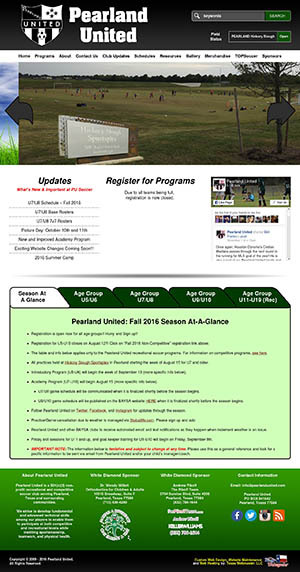 Pearland United is a recreational and competitive soccer club serving Pearland, Texas and surrounding communities. Pearland United also offers a TOPSoccer program for the disabled and mentally challenged. At Pearland United, the club offers affordable soccer development programs. The website is coming soon. Currently, this website is in the last stage and is pending for final approval from the Pearland Untied board to be launched. 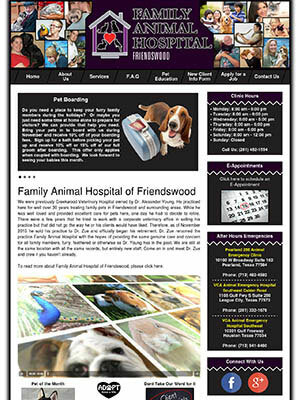 Family Animal Hospital, formerly known as Creekwood Veterinary Hospital was owned and operated by Dr. Alexander Young. He practiced veterinary medicine here for well over 30 years working with clients and patients from Friendswood and all surrounding areas. 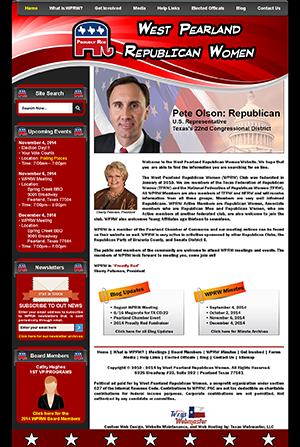 The mission of the Greater Houston Council of Federated Republican Women is to promote political education in order to increase the effectiveness of Republican Women in the cause of good government. Having trouble with bees, wasps, or yellow jackets? Call Brothers Bee Removal & Prevention TODAY to put an end to these pests! We specialize in removing honeybees and their hive from walls, roofs, attics, chimneys, and other problematic places bees decide to nest in. 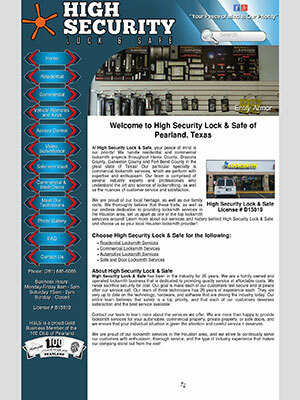 High Security Lock & Safe has been in the industry for 20 years. We are a family-owned and operated locksmith business that is dedicated to providing quality service at affordable costs. We never sacrifice security for cost. 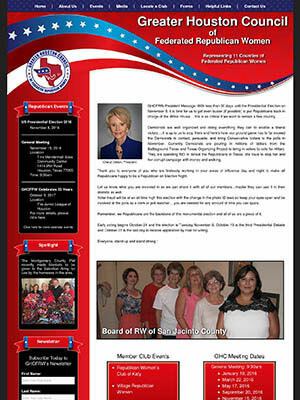 The West Pearland Republican Women (WPRW) Club was federated in January of 2010. We are members of the Texas Federation of Republican Women (TFRW) and the National Federation of Republican Women (NFRW). All WPRW Members are also members of TFRW and NFRW and will receive information from all three groups. 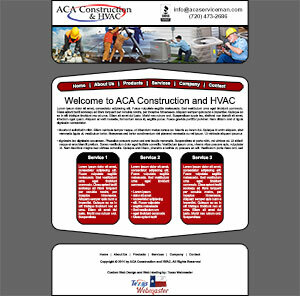 ACA Construction and HVAC is a family owned and operated business located in Aurora, Colorado. The company’s specialty is in general construction such as handyman work and HVAC services. 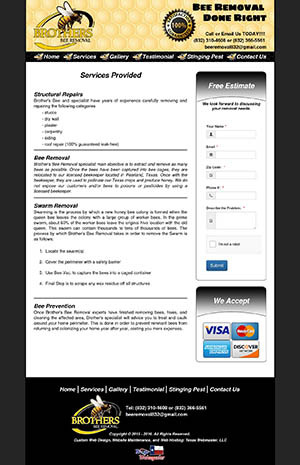 Pearland Roofing, LLC was founded in 2013. Kenneth Beers, Owner has over 40+ years experience in the roofing and building industry. 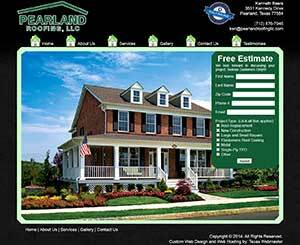 A licensed Builder and Remolding Contractor from the Northeast, has been in Pearland, Texas for the last 15 years. With a dedication to customer satisfaction, superior workmanship and quality materials. We’re looking forward to working with you on your project. 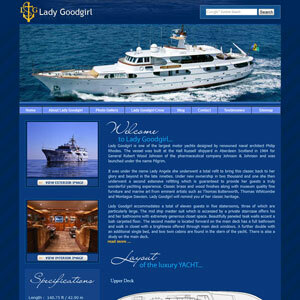 Lady Goodgirl is one of the largest motor yachts designed by renowned naval architect Philip Rhodes. Under new ownership in two thousand and one she then underwent a second extensive refitting which is guaranteed to provide her guests a truly wonderful yachting experience.